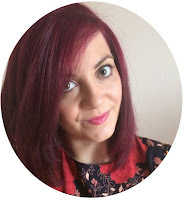 I fell in love with this River Island number after spotting it in the sale online. It's the pattern and the colour scheme that won me over. The dress itself is very 60s, which is my all-time favourite era. However, it's got a bit of every era thrown in... The pattern is more modern, and the sash tied at the side is from the 80s. I feel like I'm thrown back in time. 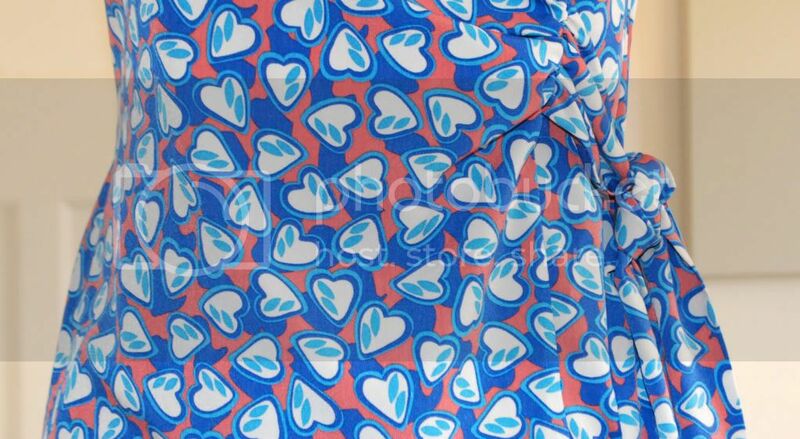 I love the strong blues and coral pinks throughout this heart pattern. It's quite fitted, with shoulder pads, but they're not overly noticeable, which I prefer. The length is great too, so I have no need for leggings or tights. I could live in this style of dress all the time if I could. I've got quite a busy day ahead of me today... After a really bad nights sleep (again - seriously, why do nightmares exist?! ), I'm off to see one of my best friends for a cup of coffee and a big catch up. He's came home for the weekend so I'm looking forward to see him! Tonight, I'm to see my friend's band The One Twos again, and hopefully have a few drinks afterwards as long as I can persuade the boss (that's my fellow Millward best friend Jess) to stay out with me. We shall see. Hope you're all having a fab bank holiday weekend!